Samurai Programmer.com - One-to-Many: What is the best way to store the values? One-to-Many: What is the best way to store the values? 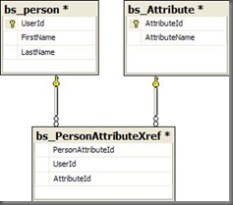 Create a Stored Procedure that accepts a UserId and AttributeId value and then insert one row into the PersonAttributeXref table. For each Attribute selected, you simply loop through them and call out to that Stored Procedure once for each item you would like to insert. '// Insert error handling here. The problem with something like this is that each time you call out to this method, a new connection is established with the database and the insert is then completed. The act of establishing a connection out to the database is very expensive - even using Connection Pools. In-fact, during some tests that I ran locally, if you are calling out to this method 100 times - it will probably take you in excess of about 937,500 ticks to complete the transaction. You also don't have the option of rolling back the rows inserted if something fails. And then in the Stored Procedure, you perform the String parsing using a simple UDF like that which you can find here and then you perform the insert there - all wrapped in a nice little transaction. If you have done something like this successfully, you have probably seen transaction times somewhere in the neighborhood of 625,000 ticks for 100 inserted rows. Wow! That's a nice a performance boost, right? Yes, it is - however, I've always been a firm believer that the SQL Server is no place to be concatenating and splitting strings. Just because you can do it, doesn't mean it should be done. In-fact, I'd argue that splitting strings and concatenating strings makes your procedure a lot less supportable than performing similar actions in .Net code. As you can see, this is pretty nice and straight-forward. You instantiate the connection, create the transaction, process the inserts and then depending upon the result of the operations, you either Commit() or Rollback() the transaction. So, what is the benefit of this? Well, aside from the obvious readability (and consequently supportability) improvements - you also get a speed improvement too! In-fact, for the same 100 rows that I inserted previously using the first or second approach, the total time to complete the transaction here is between 156,250 ticks and 312,500 ticks. That compared with with the 937,500 ticks in option 1 and 625,000 ticks in Option 2 - represents an incredible speed improvement - and that's only for 100 rows. Which, I'd imagine, is the high-end in UI defined cases. If anyone has experienced issues with using .NET transactions or performance foibles, I'd love to hear about them. 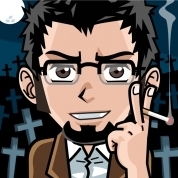 Please feel free to either comment here or e-mail me at greg at samurai programmer dot com.